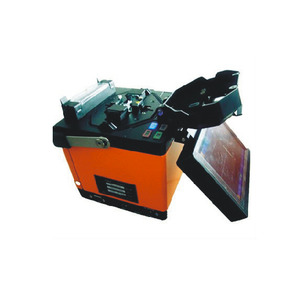 Optical Fibre Blowing Cable Machine eqal to driven jetting machine. 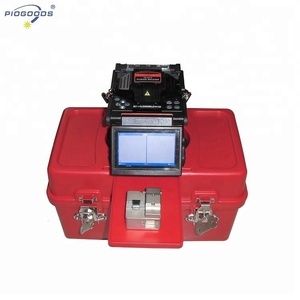 Easy operating FTTH d91mini splicing machine/optical fibre mini fusion splicer Detailed Images Features 1.The advanced core to core fiber profile alignment system(PAS) 2.Friendly smart GUI 3.X/Y axes were displayed meanwhile, Magnification up to 304 times 4.8 Sec. We hope goods arrive on time, but since this is an international delivery, shipping time will be highly depended on the deliver company and local customs/duties. Thank you for your kindly understanding. 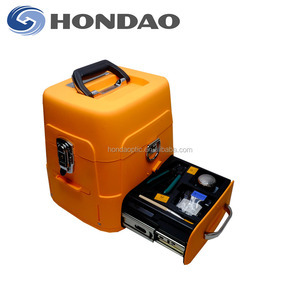 2 YRS Hangzhou Aston Cable Co., Ltd.
High Efficiency Automatic Fiber Optic Cable Cutting Machine High Effiency Automatic Fiber Optic Cable Cutting Machine is a special equipment used for fiber optic cable length measurement, cutting, counting and rolling for fiber optic patch cord production. It cuts off the cables on required length and rolls cables neatly. 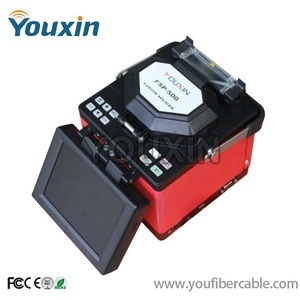 Application Widely used in the fiber optic patch cord productive industry. 8 YRS Guangzhou Lianxin Plastic Machine Co., Ltd. Multiple language menu, 5.7 inch digital high definition LCD display, 8 Sec. splice time, 25 Sec. 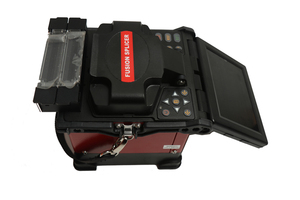 Same as Jilong fusion splicer KL 280G. 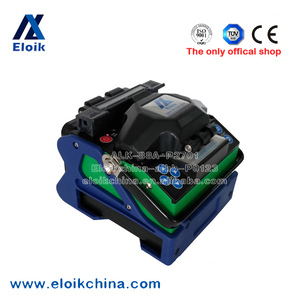 6 YRS Shenzhen Han Xin Hardware Mold Co., Ltd.
Alibaba.com offers 20,966 fibre machine products. About 7% of these are plastic extruders, 2% are fiber optic equipment, and 1% are pipe making machinery. A wide variety of fibre machine options are available to you, such as free samples, paid samples. There are 20,966 fibre machine suppliers, mainly located in Asia. 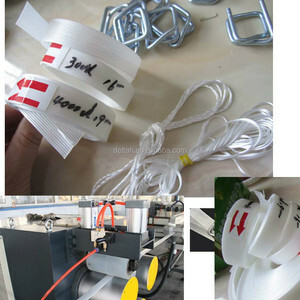 The top supplying country is China (Mainland), which supply 100% of fibre machine respectively. 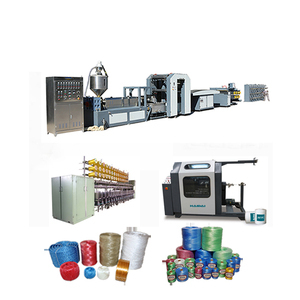 Fibre machine products are most popular in Southeast Asia, North America, and Domestic Market. You can ensure product safety by selecting from certified suppliers, including 5,053 with ISO9001, 2,458 with Other, and 616 with ISO14001 certification.